Tragically, one in five kids live in a household that struggles to put food on the table. In Pierce County alone, there were more than 113,000 visits a month to food programs—33% of those being children under the age of 18. It’s no surprise that chronic hunger and malnutrition can affect a child’s health, their ability to learn in school, and future economic prosperity. Our Union Gap branch celebrating the food drive. As our way of helping to end childhood hunger, we teamed up with Northwest Harvest, Emergency Food Network, and the Oregon Food Bank to host a month-long food drive during August. 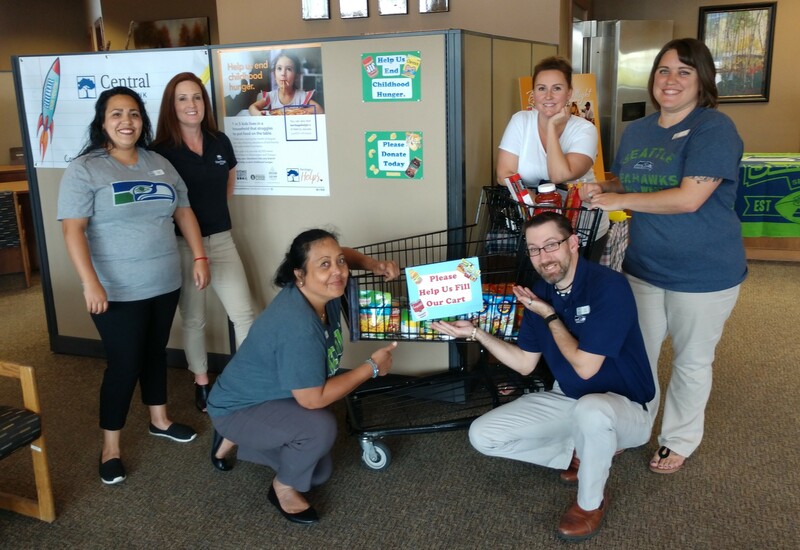 Each of our branches had collection bins for kid-friendly non-perishable food items or people could make cash donations. In total, we collected 51,176 meals! We are overjoyed with the amount of support from our customers, employees, and communities as we all came together to ensure our children get fed.